This day trip combines several stages of the Yucatan History. 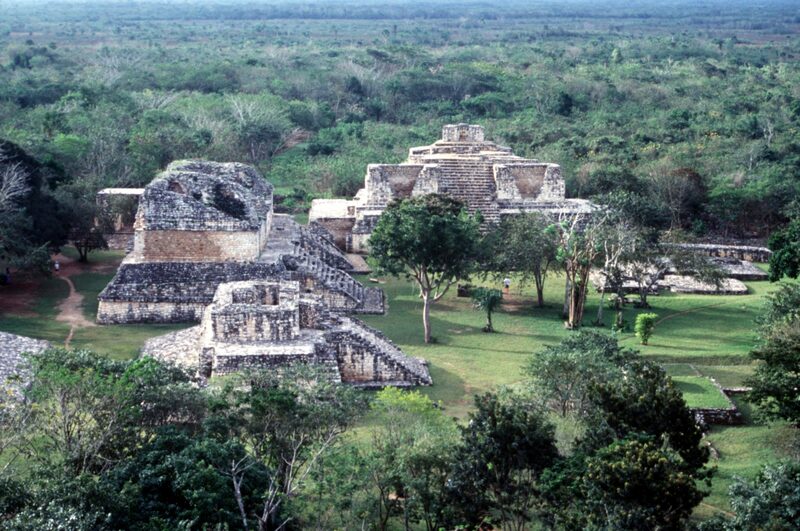 Mayapan is a post-classic settlement, 45 km. east of Merida. This was the last Mayan capital of the northern lowlands, after the collapse of Chichen Itza. From the colonial period, you will visit the church at the small village of Tecoh. The austere chapel rests on top of a Mayan platform. In the interior you can still see the beautiful baroque altarpieces, by Miguel Cabrera. Uayalceh, one of the several un-restored henequen haciendas, has an eclectic style. The henequen belongs to the agave plant family. From the henequen a strong fiber is produced through a crushing / drying process. San Pedro Ochil is a magnificently restored hacienda, in which you can visit a small henequen museum, several workshops (stone carving, zozquil weaving, horn carving). We recommend that you have lunch at this hacienda, and swim in a refreshing pool. On your way back, Yaxcopoil, an un-restored hacienda, offers magnificent views of the living quarters at the main house, and also of the buildings that housed the machinery to process henequen.